Fedrick Dacres (left) and Alia Atkinson pose with the Sportsman and Sportswoman of the Year awards at the gala ceremony at the Jamaica Pegasus Hotel on Friday, January 18, 2019. (PHOTOS: Llewellyn Wynter). 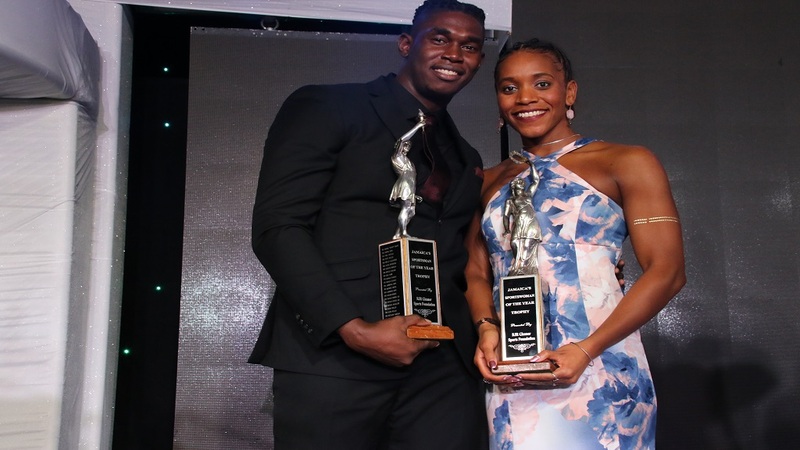 Discus thrower Fedrick Dacres and swimming sensation Alia Atkinson have been named the 2018 RJRGleaner National Sportsman and Sportswoman of the Year at the gala ceremony, held at the Jamaica Pegasus hotel in New Kingston on Friday night. 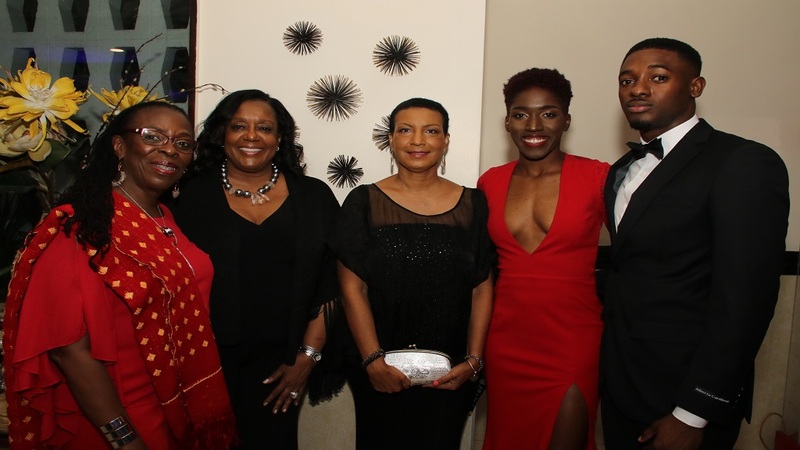 Dacres, 24, and Atkinson, 30 were among a list of 15 nominees for the prestigious awards. 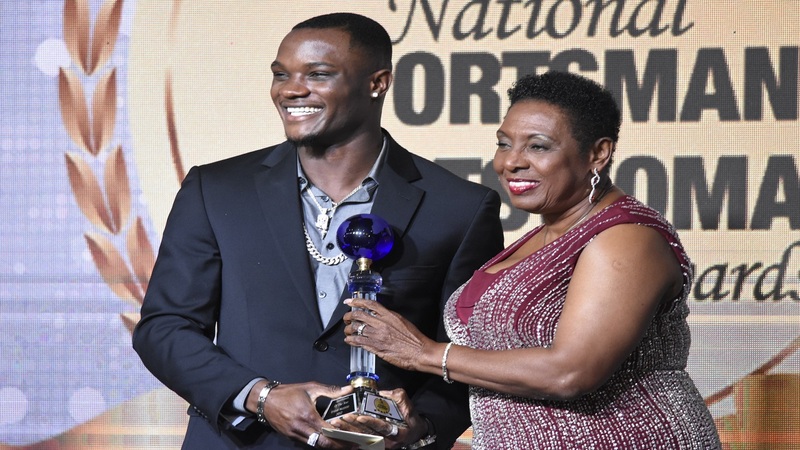 Dacres was arguably the country’s top sportsperson for 2018. He had one of his best years in 2018 where he secured a trio of major wins. Dacres won the discus gold medal at the Commonwealth Games on the Gold Coast in Australia in a Games Record 68.20m on April 13. 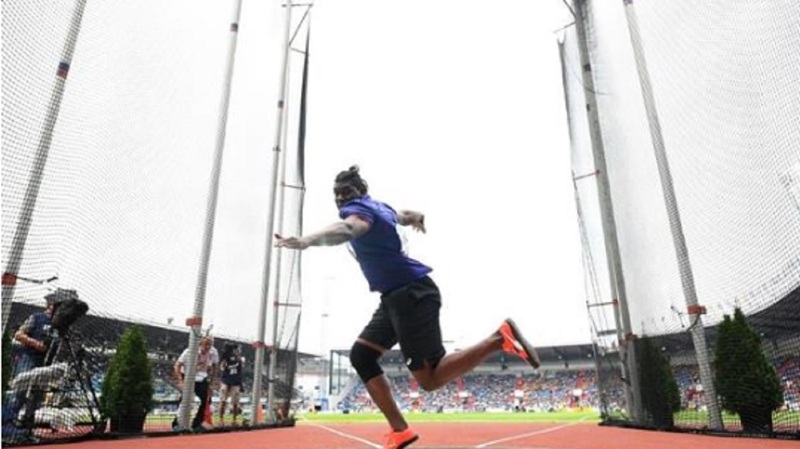 He followed up that victory by claiming the Diamond League discus title and US$50,000 at the Memorial Van Damme in Brussels on August 31 with a throw of 68.67m and then beat the world at the IAAF Continental Cup in the Czech Republic on September 8 with a throw of 67.97m. Dacres won three of his four Diamond League meets in 2018 prior to the Final. He had the second-best throw of 2018, a Jamaican Record 69.67m set at the Diamond League meeting in Stockholm, Sweden. Dacres also won gold at the NACAC Senior Championships in Toronto on August 12. He improved the championship record by more than five metres with his opening throw of 65.89m. He improved to 67.39m in the second round and ended with 68.47m, his fifth best effort ever. Sprint hurdler Ronald Levy was voted runner-up to the Sportsman of the Year. Atkinson was winning the national award for the second straight year and three times overall. The four-time Olympian first won the prestigious award in 2014. Atkinson also won three other awards including the People’s Choice “Performance of the Year,” for her new 50m breaststroke world short course record swim of 28.56 seconds, at the FINA Swimming World Cup meet in Budapest, Hungary on October 6. 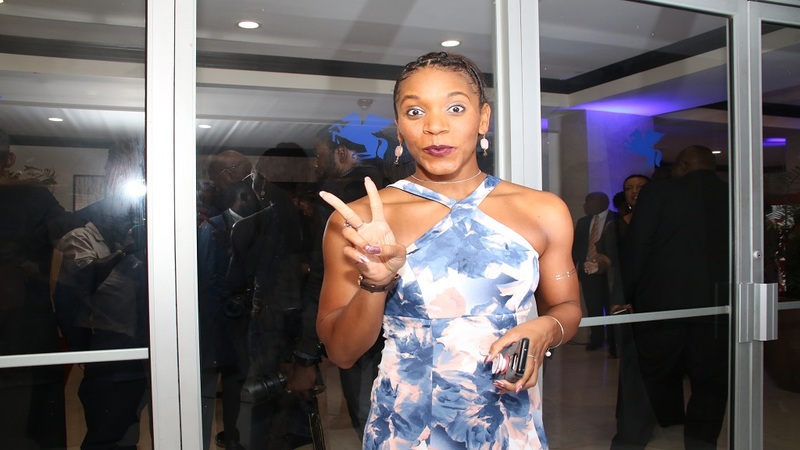 Atkinson also walked away with the Gleaner Iconic Award and the Female Athlete of the Year for aquatic (swimming). Shot-putter Danniel Thomas-Dodd and triple-jumper Kimberly Williams finished in a tie for runner-up to the Sportswoman of the Year. Then at the 23rd Central American and Caribbean (CAC) Games at the Eduardo Movilla Aquatic Complex in Colombia, Atkinson won three gold medals. Atkinson’s third gold in Colombia came on July 22 when she clocked 30.19 seconds for victory in the women's 50m breaststroke final, distancing herself from Melissa Rodriguez Villanueva of Mexico, who took silver in 31.20 seconds and Venezuelan Merce des Toledo, who timed 31.99 for third and the bronze medal. 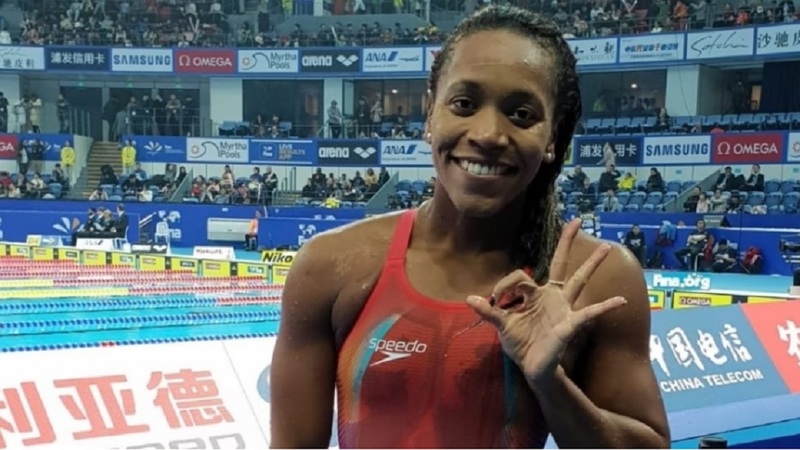 Atkinson’s other gold medal in Colombia came in the women’s 50m butterfly in 26.60 seconds and the women’s 100m breaststroke in a championship record 1:06.83. At the FINA Swimming World Cup, Atkinson dominated her competition in the 25m pool. In five meets she won three gold and two silver medals. Atkinson was also hot at the FINA World Short Course Swimming Championships in Hangzhou, China in December with two gold medals.